Brazil has announced plans to produce a low-cost measles and rubella vaccine for export to developing countries. By 2017, 30 million doses a year are to be supplied mainly to African but also to Asian and Latin American nations. The Oswaldo Cruz Foundation, Brazil’s top medical research facility, has received a $1m (£620,000) grant from the Bill & Melinda Gates Foundation. The vaccine is expected to be the most affordable on the market and will be the first made for export by Brazil. Currently, only India produces such vaccines. 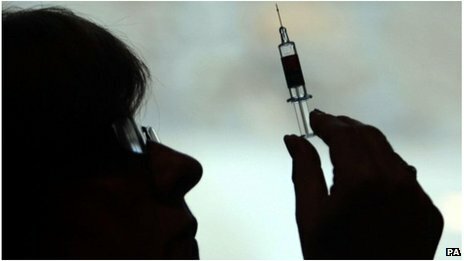 The new vaccine will be developed by Bio-Manguinhos, a unit of the Oswaldo Cruz Foundation (Fiocruz), in Rio de Janeiro. It should be sold for $0.54 (£0.33) a dose. The partnership with the foundation of Microsoft founder Bill Gates was announced by the Brazilian Health Minister, Alexandre Padilha. “The agreement which we are signing provides more investment and guaranteed purchases, which makes it possible to export at the lowest cost,” he told reporters. The Brazilian government says it will build a brand new production plant in Rio de Janeiro, creating jobs and boosting expertise. The country already exports vaccines for 75 nations, but the measles and rubella vaccine will be the first produced exclusively for export. Bio-Manguinhos has been producing a combined measles, mumps and rubella vaccine since 2003, but its cost is prohibitive to many developing countries. Measles is an infection caused by a virus, normally acquired in childhood. It is highly infectious, and can be spread by coughs and sneezes. The World Health Organisation says measles kills 158,000 people a year, most of them children under the age of five. Rubella, also called German measles, is also caused by a virus that is spread from person to person when an infected person coughs or sneezes. If a pregnant woman gets rubella during the first three months of pregnancy, her baby is at risk of having serious birth defects or dying.